The Downs Haunted House provides a “Fright Fest” of activities that include: the haunted house, a haunted hay rack ride, concessions, bonfires, apparel sales, and queue line entertainment. Gather your coven of witches and enjoy an evening of Sips, Snacks, Sales & Specials from Uptown Normal businesses. Participants should line up behind Normal City Hall Annex at 100 E. Phoenix Avenue. The haunting begins after crossing Vernon Avenue and continues to the Connie Link Amphitheatre. Be prepared to be spooked by sound and lighting effects (strobe lighting is included), spooky creatures and displays. Several Downtown Bloomington businesses will be handing out candy or treats to youth trick or treaters. 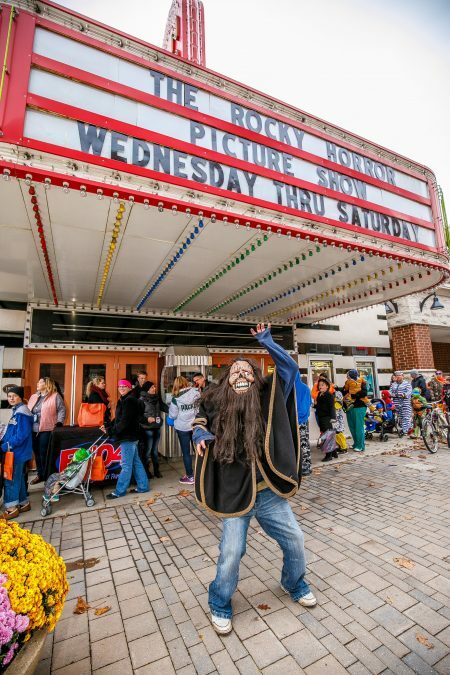 Grab your ghosts and ghouls and head to Uptown Normal for a night of trick-or-treating! Visit shops from the corner of North Street and Fell to the corner of East Beaufort Street and Linden. Come trick or treat at the David Davis Mansion. Wear your scariest, funniest, weirdest or prettiest costume and get candy! Take the opportunity to take photos on the Mansion grounds. Ewing Manor invites trick-or-treaters to join us on the magical night of Halloween for a treat. There will be plenty of fall decor, which is great for taking pictures.